Fauono Ken Laban has carved out several careers since he grew up in Wainuiomata after his mum and dad migrated from Samoa in the early 1950s. 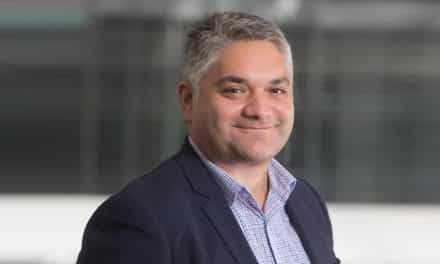 He has made a name for himself as a rugby league player – and as a cop, a community worker, a sports commentator and also as a local body politician. Here he traces some of that story with Dale Husband. Rugby and politics and education and culture and language were all an important part of my growing up. There’s a famous photo of a village team in 1926 with both my grandfathers – one from the village of Vaiala and the other from the next door village, Matautu. 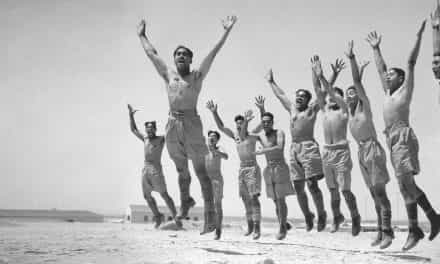 But they weren’t just footballers. My mother’s father, Fauono Tunupopo Patu, was a member of the Samoan Legislative Assembly before independence in 1962, and my father’s father, Leutele Va’afusuaga Poutoa, was a member of the first independent government. And he was the Minister of Lands in that first democratically elected Samoan government. 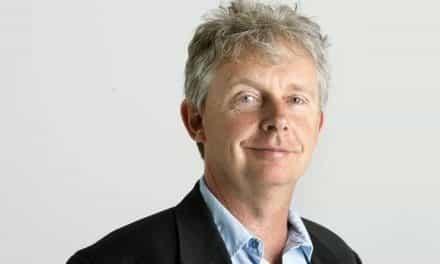 I played for that same village team in 1980 – and my three sons have assured me they’ll maintain the link by turning out for them as well one of these days. Both my mother and father had been public servants in Samoa but, at that time, because of the relationship between Samoa and New Zealand, they were able to transfer here to government jobs in Wellington. They migrated primarily to ensure that their children would be born in New Zealand and would have no immigration issues. So my older sister (Winnie) and I were born and grew up here as New Zealanders. And we played all our sport here, had our families here – and progressed into government work here as well. Luamanuvao Winnie, in fact, was an MP for 11 years and became a minister in the Helen Clark government. And I’ve been elected on to the Wellington Regional Council and also the District Health Board. For us it feels as if it’s been a natural progression from what our family was doing in the 1920s. Now what about that Laban name. That doesn’t sound too Samoan to me. That was my grandmother’s maiden name. It comes from Denmark. And there’s a touch of Zimmerman (a Jewish name) somewhere in the mix as well. That European element is no surprise, because, with so much voyaging through the Pacific, inevitably there were sailors or traders or the like stopping off and spending time or settling down in Samoa. But I understand the way we ended up with the Laban surname was a result of a degree of racism in Samoa during the New Zealand administration. Children with Samoan names weren’t accepted at secondary school. 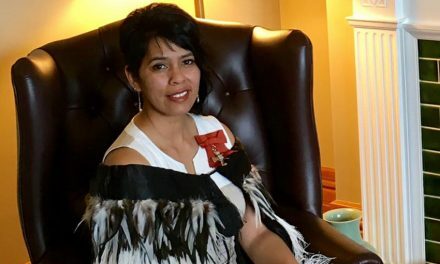 My grandmother’s maiden name was Winnie Laban, so my father had to change his birth name from Tasi Poutoa to Ken Laban to attend secondary school – and we’ve had that surname now for three generations. You and Winnie have both been eloquent English speakers and, I imagine, that has been partly a consequence of the respect for oratory in your family. But how’s your reo Hamoa? Not too bad. I was raised in a bilingual whanau and spoke Samoan regularly as a kid. Like all Samoan families, we’re the products of White Sunday, the traditional church gathering every year where the children are required to speak Samoan. It can be a horrendous experience for young children going through that for the first time. But we got through, and I’ve been very much exposed to the Samoan language and culture throughout my life. We go to Samoa regularly. And, a couple of years ago, I was bestowed with a matai title, Fauono, from Vaiala, my mother’s village. 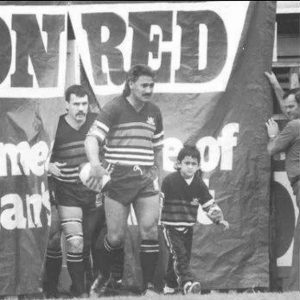 Carlaw Park, 1990. Ken’s last game. And here, with the help of 7-year-old Piri Weepu, he’s leading out Wainuiomata for their win over Otahuhu in the Lion Red rugby league cup final. That move to New Zealand must’ve been a big undertaking. Yes. When I look back now I can see that it would have been an enormous decision for my Dad to make at that stage of his life. It was the first time he had been out of Samoa, he was still in his 20s, and English was his second language. Now, given the way my life has turned out, and the opportunities and privileges I’ve had, it really was magnificent vision by my parents. It took strength too. Sadly, though, they’re no longer with us. My Mum passed five years ago, and Dad died more than 10 years before that. I feel privileged to have been a part of their life, and humbled by the legacy they’ve left with me. What about your school-days and your next steps after that? Both Winnie and I were boarders at private schools. She went to Erskine College and I was off to Scots College. That was a huge financial sacrifice by our parents who were determined to ensure that we would have the confidence to cope with a changing world. Then, from Scots College, I went straight into the Police where I worked for 16 years. After that I did a bit of work in the community. Then I started in the media. My first game as a commentator was for TVNZ in 1990, so this is my 26th year in television and my 16th year with Sky. I’ve been very blessed as well with the opportunities I’ve had in other fields. I’m now in my fourth term as a District Health Board member, my second term as an elected local body councillor, and my first on the Wellington Regional Council. I’m picking that there wouldn’t have been many other Samoan kids at Scots College in your day. No. There were none. But they were valuable years. I played a lot of sport – and I was lucky to be surrounded by so many articulate people who made a lasting impression on me. I imagine that the arrival of Samoans in Wainuiomata wouldn’t have been all that common back in the early 1950s. No. They were, I think, one of the first to settle in Wainui. But they soon met a Maori couple, just around the corner, John and Bubby Turner, who became their lifelong friends. 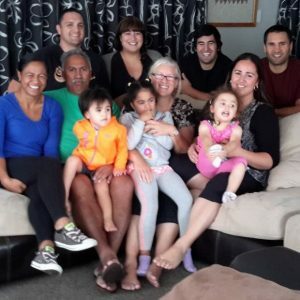 The Turners had four children – Miria, Kura, Piri and Ngairie – and one of their mokopuna is Piri Weepu, a former All Black halfback. Winnie and I grew up alongside the Turner kids and we became very close with them, as did the next generation in our families. I suppose there was a natural bond, especially back in the early days, because coming from Samoa was something like the Maori experience of trying to make a go of it in the city after coming from their rural world and from their marae up the East Coast or wherever. We just merged in with the Maori families. In fact, my Dad was a member of the foundation committee who established the Wainuiomata Marae. We, quite naturally, regard that as our marae. 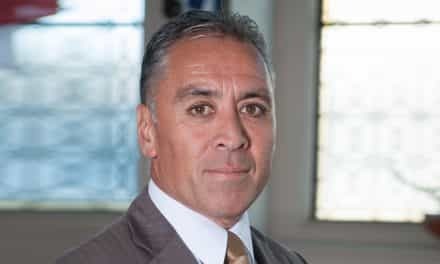 There are other Maori links too because the partner of one of my daughters is Tainui, and Hine, the partner of one of my sons, is a Manuel from Ngati Porou. So our three moko are part Hamoa and part Maori. There’s a Ngati Kahungunu connection too and there’s a bit of Matakana Island in there as well. And, although there may be the perception that the kohanga is for Maori kids, at Wainuiomata all sorts of kids have been going there. It’s the same at the marae and the rugby league club. 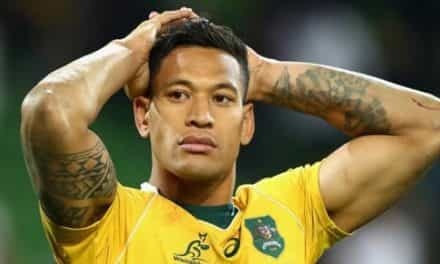 And that’s reflected in the relationships and marriages, like with Tana Umaga, a local boy on his way to becoming an All Black captain, marrying Rochelle Tuhaka. Somewhere along the line, there was a young lady who caught your eye too. Can you tell us about her? Well, that was 30 years ago. She was Donna Liddell then, and like me she’d joined the Police, which is where we met. And now she’s Inspector Donna Laban, Level Two. That’s what used to be the Chief Inspector rank. 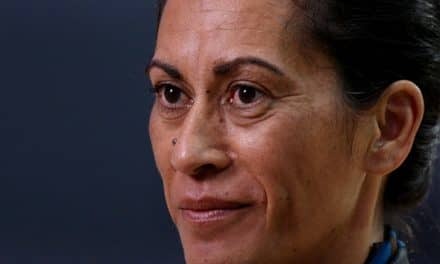 Although she has links with a high profile Cook Island family, she is to all intents and purposes, a middle-class Pakeha. But she’s been surrounded by Maori and PIs most of her life – and she knows rugby league inside out. It’s just a pity for her that, when it comes to State of Origin, I’m in Queensland’s corner and she’s backing New South Wales. And, as you know, over the last nine series, I’m leading 8-1. Despite there being any number of warm personal relationships, back in the day, things sometimes were a bit testy between Maori and Pacific Islanders. There has been an “Us and Them” mentality, hasn’t there? There may well have been some areas where there’s been misunderstanding and resentment. But, certainly in the case of Maori and Pacific communities in Wainuiomata, many of them were working together, like in the meat works, the railway workshops, or General Motors in Upper Hutt, or NZ Motor Corp in Lower Hutt or Ford Motors in Petone. So they mostly got along fine. That was especially true of our family because, as well as the great friendship between the Labans and the Turners, there were other friendships stemming from the marae committee. Like with the Olsens. I remember in my rugby league playing days, when I was captain of the Wainuiomata team, Star Olsen was the club chairman. 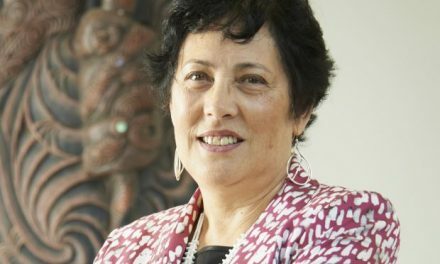 And the coach was Kara Puketapu, who was previously the head of the Department of Maori and Pacific Island Affairs. I know that around the country there have been some issues. But not here. And I can get myself through a reasonable mihi on the paepae. My willingness and confidence to do that reflects my love and respect for tikanga Maori. In fact, one of the greatest honours of my life was delivering the eulogies at each of the tangi on the Wainuiomata Marae for John and Bubby Turner. Here I was, a Samoan being asked to speak on a marae on behalf of a family steeped in tradition and the reo. A great honour. When we turn to the years you’ve invested in local body politics, I can’t help thinking that Pasifika people have made a more significant effort to get into community work, in trusts and committees and the like. Maybe there’s been more willingness than among Maori to put their names forward and seek office. Well, that may be because Pasifika communities don’t have the same infrastructure that Maori have. 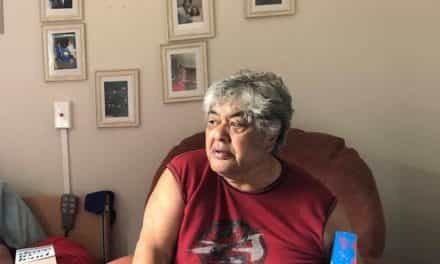 With Maori there’s been the devolution of social service contracts, and they have runanga, and mahi being done out of marae and kohanga and other organisations up and down New Zealand. The Pacific communities don’t have all that, so they’ve had fewer opportunities – and the way forward has been to seek elected positions. It’s been a logical development for us. NextToo quick to take the credit?